Holidays in Castelnuovo del Garda ↔ Discover Lake Garda! 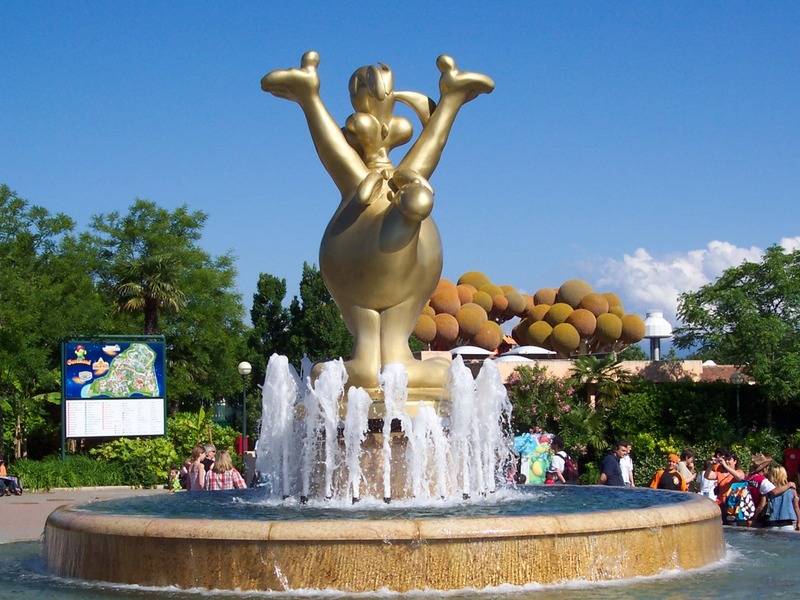 The Gardaland amusement park is a fantasy world full of adventure and fun for the whole family. Castelnuovo del Garda is nestled in idyllic vineyards and olive groves between Verona and Peschiera at the southern end of Lake Garda and offers a popular attraction: Gardaland! Castelnuovo has had a few name changes throughout its time. During the Roman period, it was named Beneventum and then renamed Quadrivium which means four roads or crossroads. In the 12th century, Quadrivium was destroyed by Federick Barbarossa. The town was then rebuilt and renamed Castrum Novum, New Castle in English, Castelnuovo in Italian. Castelnuovo del Garda is almost exclusively known for its huge amusement park, where rollercoasters, dolphinariums and themed rides are just a few of the countless amusements on offer. 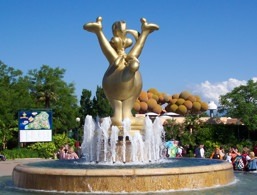 It attracts thousands and thousands of visitors from all over the world every year and promises a lot of fun for the whole family. As well as a fantastic amusement park, Castelnuovo also has a pretty incredible history. The old town, fortified tower, religious buildings and villas testify to its ancient past and with geological findings on Mount Alto, it's said to date back to prehistoric times. For those who want to enjoy the lake and the sun away from the big tourist crowds, there are the beaches in Campanello and Ronchi. You can explore the wonderful Castelnuovo surroundings, characterized by meadows, forests, olive groves and old farmhouses, on foot or by bike. 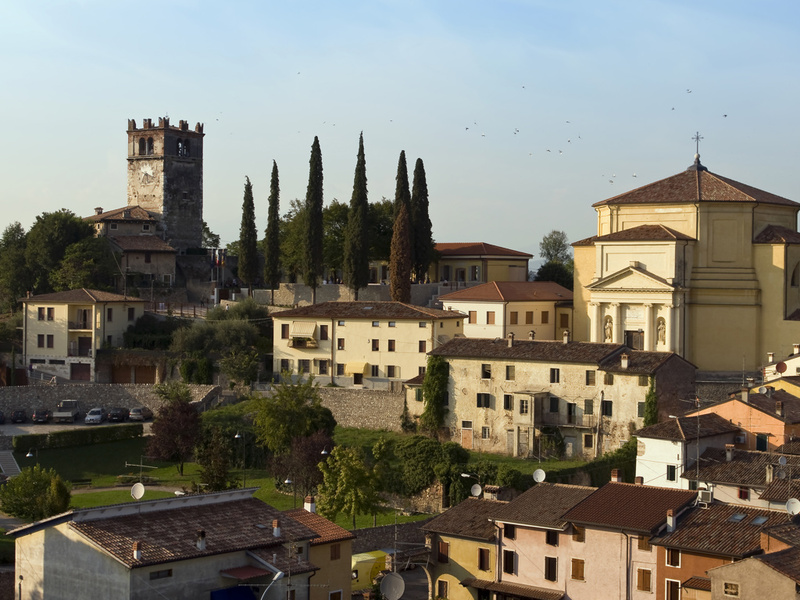 Thanks to its rather long and eventful history, Castelnuovo del Garda has a picturesque old town. Above it towers a mighty castle built in the 14th century by the noble Visconti family. Its name also bears a well-preserved tower in the fortress wall. 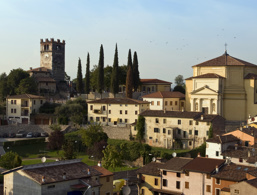 Nearby is the beautiful church of Santa Maria with a bell tower from the 15th century. The Madonna degli Angeli chapel is located on the San Lorenzo hill. Its interior is adorned with an unusual work of art from the 15th century, where the Blessed Virgin Mary and the child Jesus can be seen. The accommodations at Castelnuovo del Garda were rated 4.5 out of 5 stars by 2 users.